Our team has been helping clients Buy Real Estate in Portland Maine and Sell Real Estate in Portland, Maine since 1985. Our "high tech" philosophy allows us to be "high touch" with our real estate clients. We encourage you to contact us so we can share all that our vibrant city has to offer and find that perfect piece of Portland real estate for you. Call us if you want to find that perfect Portland Maine city condo or your dream Portland Maine waterfront/water view home. Be first to find out about new desirable new listings as they hit the Portland Maine Real estate market. "We were delighted with Deb's attention to detail and her ability to explain complex issues. This transaction was not without it's crises. Deb stayed on top of them, kept us informed, and did all she could to alleviate our stress." Thank you for assisting us in the sale of our home in Falmouth. We have rarely been involved in a transaction of this type and your thoughtful advice, expertise and professional approach guided us through the daunting process well. Once we decided to list our home with Barouch and Company you were able to employ a multifaceted marketing approach assuring maximum exposure of our home. Carefully balancing online opportunities with print media and an open house; you made sure we had broad exposure to potential buyers. Most importantly, you called on the relationships you have earned during your years of experience. So often we hear of “social marketing” as though it is an invention of facebook and twitter. In reality, you have employed it, pre-internet, by building connections within our community and your peers in other real estate firms. Listing with you fully presented our home to the entire market. As is said, the proof of the pudding is in the eating. You brought a fair offer to us within a week and we very quickly went under contract, closing in just a few weeks after the listing. Your guidance and the hard work both you and Ryan put in throughout the period allowed us to meet our obligations with a minimum of disruption to our busy lives and helped us be sure that all the bases were covered. Barouch and Co. always made me feel that my search and purchase were a top priority. Barouch and Co were in constant communication with me during the time of my real estate purchase. At no time did I feel abandoned. My concerns received a rapid response every single time. Barouch and Co. were able to operate their busy schedule so that I could meet with them whenever it was required. My real estate transaction was a short sale and therefore a bit long and complicated. I always felt that Barouch and Co were watching my back, solving problems before they arose. We have done two real-estate transactions with Deb Barouch...we bought a house and sold a house with her as our agent. We were more than satisfied with her professional approach and punctuality in all of our dealings with her. We would definitely use her again in the future in any real-estate dealings. One thing that really impressed us with her is that she always returned calls and always followed up on any concerns we had and attempted to answer any questions. The whole process was very comfortable as Deb did take charge and left us with very little to worry about. I would not hesitate in giving her a chance to market your home. In this market, you need someone who really knows the business and will always treat you like you are the most important client she has. I believe Deb has a lot of repeat business with very satisfied customers. Good luck in selling your home. I tell everyone I know that you are the “best” in the business. Not only a great sales person but well known in this area as a hard working, bright, clever, good person who has people’s and community’s best interest in the forefront of all transactions. And the best part is you are a delightful, good humored person to work with. I chose you over a number of other realtors when I sold my house in Falmouth because I was personally aware of how you had handled the sale of my neighbor’s house. I wasn’t disappointed. Through clever marketing and planning my house was sold within days and at more than the asking price. You have established a very professional business, from your website to unique ways of building your company’s image. You have handpicked a superior group of people to work along side you; people who share your values and ethics. As a smart consumer, I used the internet to associate myself with the Portland area real estate market in anticipation of my transfer from Northern Virginia to Maine. 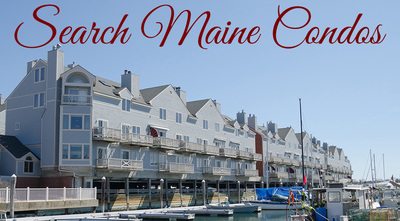 During that road of research, I stumbled on to a website with a catchy phrase: “Call Maine Home with Barouch & Company. It entered the site and after reviewing the information decided this site would better assist me with analyzing the housing market in Maine, especially since the information was more up to date than such sites as Realtor.com. Two days later I received a phone call from a real estate professional named Deb Barouch who inquired if she could assist me with any real estate needs. What followed was not pressure sales pitch but rather a dialogue regarding my family, our diverse backgrounds, and my previous experiences in Maine as a child. As I explained my research of the current (limited) pool of homes in the greater Portland area, she offered me access to a whole new tool which wasn‘t available on the web, a bi-weekly market analysis of homes in those locations where I wanted to purchase a home for my family. That tool alone gave me the ability to plan my strategy for future home negotiating with real-time information at my fingertips, especially with the downward trend in home values. In preparation for my house hunting trip, Deb and I consolidated a list of homes that fit my families needs and then we hit the ground running. Well that information paid off….24 hours later I had a home under contract in Scarborough that I was very excited about, a place where my wife and three children could grow up and enjoy all the benefits of Maine. With the assistance of Deb’s associate Ryan Deveaux, they helped guide me through every aspect the inspection process to a very satisfying settlement. The guidance provided by Barouch & Company Realtors was invaluable and without reservation, I would recommend that any future home buyers contact Deb Barouch and Ryan Deveaux for any real estate assistance so that they to can “Call Maine Home”. We are so glad that we got referred to Deb Barouch. She was such a huge help in the process from beginning to end. We couldn't be happier with our home buying experience. Her knowledge and willingness to walk us through each step made the whole process much easier and less stressful. I would recommend anyone thinking of buying a house to talk to Deb and she will put them in the right direction to get what they want. "Deb and her team were great to work with. She knows the market so well that our home sold very quickly and for a good price. She could anticipate problems and solve them before they became an issue. She often knew about issues concerning the other broker before the other broker did. I would highly recommend using Deb for your real estate needs. I'm going to recommend her to my mother." "Working with Deb and her team was a very good experience. She gave us time and thoughtful attention. And most importantly, she sold our house. inspection to providing referrals for painters and floor finishers. estate in the greater Portland area. " "We were very pleased working with Deb Barouch to sell our townhouse at Washington Crossing. We were selling in a volatile and perhaps declining market and Deb gave us several kinds of excellent advice. First, she advised us on how to best prepare our unit for showing and her assistant Ryan created a fabulous visual tour and set of photos. We received very positive feed back about the unit even from prospective buyers who did not make an offer. As we prepared to list the unit, she provided a lot of information about 'comps' and again advised us to establish a reasonable asking price for the current market. Once the unit was listed Deb worked very hard to contact all the buyer brokers which generated a lot of interest and showings. She helped us decide the best response to several offers until we achieved our goal in terms of price. There were several times she was able to expedite the resolution of problems which occurred as part of the sales process. We had worked with Deb when we bought our home at Washington Crossing and were very happy that we selected her to represent us for the sale. " "We recently had the priviledge of working with Deborah Barouch when we were looking for a home in Maine. We provided an unusual challenge for her in that one of us lives in Indiana and the other lives in Scotland, United Kingdom and we were looking for a property that was zoned for livestock since we wanted to have a few Highland cows (as pets). We were very impressed with Deb's efficiency, expertise, and professionalism. She was very prompt in her responses to our many questions and was sensitive to our concerns and very good at listening. Deb knows how to get things started and we were amazed at how fast she is able to get things accomplished. Her associates are friendly, prompt, and very efficient as well. It was a real pleasure working with Deb and we would highly recommend her to anyone interested in buying or selling a property. "Deb was a fabulous agent to work with as she went the extra mile in considering what we were looking for. She listened carefully to us and found houses that she felt we would be interested in. She met us at hours that an ordinary agent wouldn't have pleasantly done. She also advised us of her schedule which made it easy for us to set up appointments with her. She made us feel like family which is important when you are relocating. We would relish the opportunity to do business with her again!" I want to thank you for all your help in the recent purchase of my condo in Scarborough. From providing immediate on-line search results to walking me through the closing, you were absolutely thorough in your commitment of time, information, and assistance. There was never a question unanswered, a request ignored or a phone call unreturned; in fact, most information was in my hands way before I knew I needed it. Your excellent negotiation skills were consistently fair and honest and yielded fair, honest results. And you will never know how much I appreciated your patience and perspective during my moments of self-imposed stress. Ryan’s quiet patience and efficient attention to detail also helped make this process very smooth for me. You both had me covered, all ways, all the time. And I am grateful. Should any future buyer want any kind of a reference, please feel free to give them my phone number and/or e-mail address. Thank you again for leading me through the process on the way to realizing one of my major goals. When I made a decision to sell my home in Connecticut and move to Maine so that I could settle down near my children and their families I called Deb Barouch to ask for her aid in finding me a condominium in the Portland area. This was an easy decision since she had just done the same for both of my children. They both used her in their purchases of homes in Falmouth and Westbrook. Deb's knowledge of this area is extensive and her company was very helpful in making the process as easy as possible. Since I decided on having a home built in a new condo development in Gorham there was a lot more to it than simply picking out a home that was already lived in. Different owners look for different things when selecting a listing broker. Our home was a contemporary style and had untypical interior features which limited its appeal. We looked for certain broker strengths which Deb Barouch possessed. She successfully sold our home during early spring of 2006. 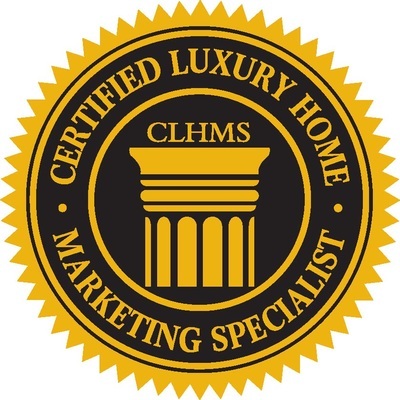 We did not believe a one-fits-all marketing plan would serve our property best. Deb proposed how to best make the property visible to the right potential buyers. She wanted to hear our reaction and input and we then agreed on a marketing plan. Our property was not visible from a public road, so Deb came up with 2 ideas to counter that problem.